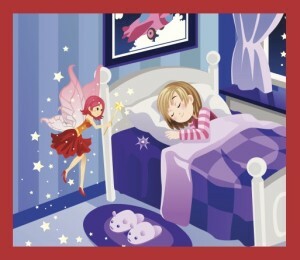 Today is Tooth Fairy Day. 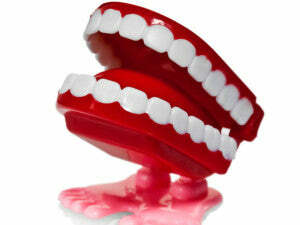 Has there been some awkward wiggling and dangling going on inside your mouth lately? Sounds like you’ve got a visit from the Tooth Fairy coming up. Get ready for a little extra coin in exchange for your tooth once it finally comes loose. That’s how it works: you take your tooth and place it under your pillow; that night, the Tooth Fairy comes and pockets the tooth while leaving you a little something for your troubles. Europeans in the 1400s were in the habit of burying children’s baby teeth when they fell out. It’s quite possible that this is what led to placing teeth under the pillow. And when a kid’s sixth tooth came out, it was customary for parents to slip a small gift in place of the tooth where it had been buried as a sort of ‘tooth fee’. While the customs of burying teeth bear a similar resemblance to today’s customs, this one is completely unlike anything we do today. Kids, however, in England during the middle ages were instructed to burn their teeth to avoid hardship and suffering in the afterlife. I, however, on behalf of the Everything Summer Camp Blog do not recommend this. Possibly where the concept for a ‘tooth fee’ came from, the Vikings of Norse culture thought children’s teeth to have good luck tied to them and would pay children for their loose teeth. Some warriors would wear the teeth they purchased for protection in battle. Who knows where all these traditions and notions came from, but in any case, the tradition lives on as losing baby teeth is a rite of passage worth celebration. If baby teeth are so lucky, though, maybe you should hold onto those little gems! What does the Tooth Fairy need them for anyway? As always, thanks for reading.